Here's a mix I have wanted to try for a while now. Well, I finally got around to making it and here it is. Based on a downloaded acapella, I have totally reworked it giving it a Hi-nrg feel, whilst keeping a few of the original elements that makes it the great song that it is. I have included a vocal version and the instrumental mix, if you feel like trying your hand at an extended version. hi-love the vocal version-great mix-thank you. 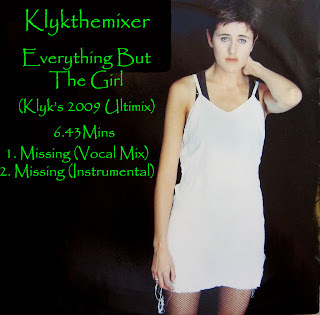 I'm a huge ebtg fan-I have around 74 Missing tracks including originals, mixes and covers and love your mix so much I have put it in my favourite Missing mixes playlist!!! Thanks for your nice comments, you have a great collection of mixes by the sound of it. I'm happy I provided one more.